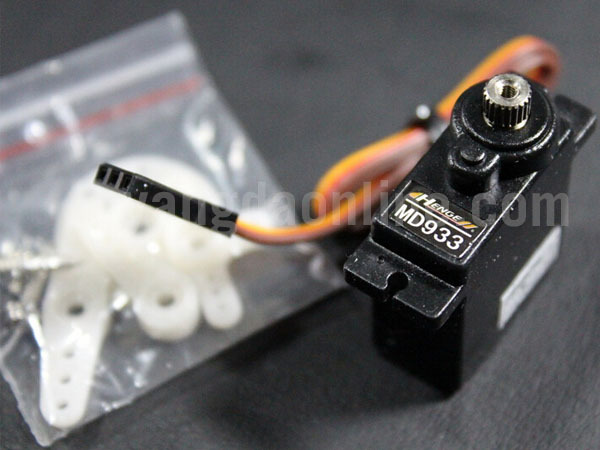 Henge MD933 metal gear digital torque servo,specially designed for helicopter and fast response applications. 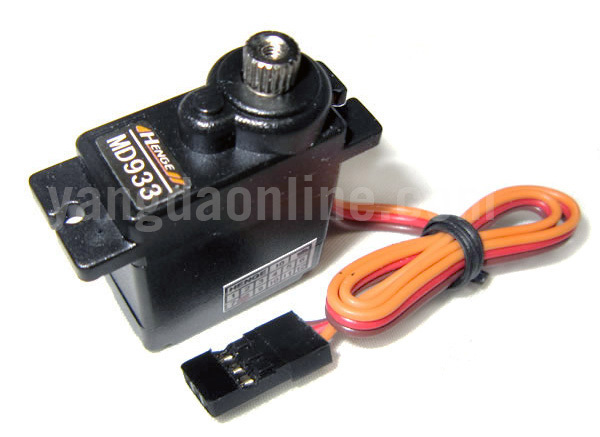 It's high quality motor allows longer run time on high speed,compatible with many gyros such as Futaba 401,601. 1)Using metal wheel gear which is of higher precision and small error of servo output. 2)Using high performance motor of the same level with FUTABA, makes service life longer, and experiments prove that it can continuous high speed work for 50 hours. 3)The shell is made from Japan raw materials. 4)Rapid response control, response time <4usec. 5)high coordination, center error: < ± 0.5 degree, 40 degree error: < ± 0.5 degrees, 60 degrees error: < ± 0.5 degree. 6)Unique overload current protection function, prevent the motor and electronic componentsrotor from being burnt down. 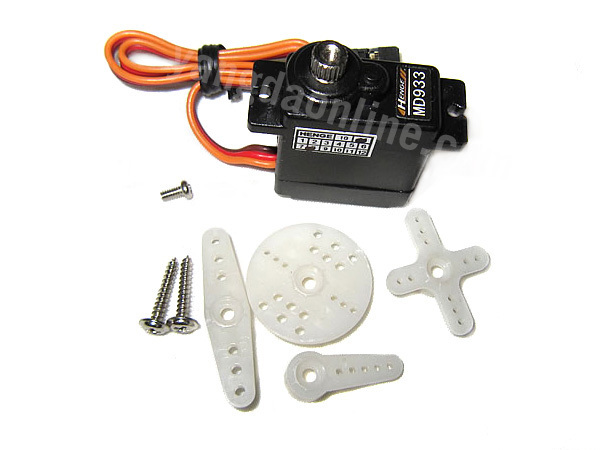 7)Suitable for 450 level electric helicopter swashplate control and fixed wing aircraft.